Punctuation, parts of speech, writing rules, 6 sentence patterns, essay outlines. Test question samples & practice questions in a consumable workbook. Includes instruction for 21 standards (76 pages) Student & Teacher Edition. L.3.1f., L.4.1f, L.4.1g., L.4.3b., L.5.1d. L.5.2a., L.6.1c., L.6.1d., L.6.2a., L.6.3a. 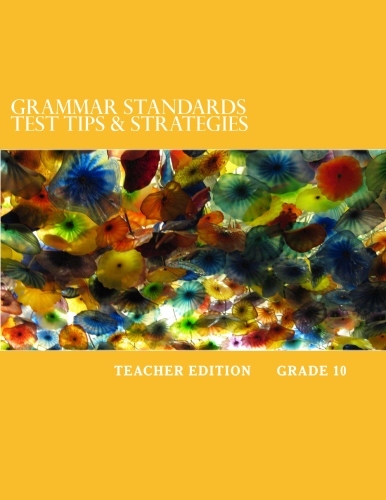 Reading strategies, Vocabulary strategies, Writing strategies, and direct instruction for Grammar (150 pages) Student & Teacher Edition. Includes instruction for 31 standards. Actionable, current, proven materials ready for the study room and the class room. All books are consumable workbooks. All books come in Teacher Editions which include lessons, review and practice questions for punctuation, parts of speech, usage, parallelism, and transitions. All books include direct instruction, review and practice questions for the "6 Sentence Patterns," a ground-breaking grammar platform for students in every grade for every writing and grammar challenge. Essay instructions & outlines for informative, argumentative, & literary analysis. Test question samples & practice questions with answers & explanations. (77 pages) Student & Teacher Edition. 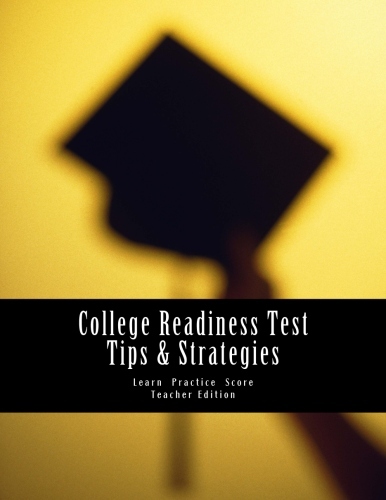 College Readiness Test Tips & Strategies. Proven reading strategies with step-by-step instructions. Exact instruction and tips for all types of grammar test questions with 6 Sentence Patterns. Chapter-end practice questions. Essay instruction and outlines for argument & literary analysis essays.